2 Bedroom Flat For Sale in London for Guide Price £300,000. 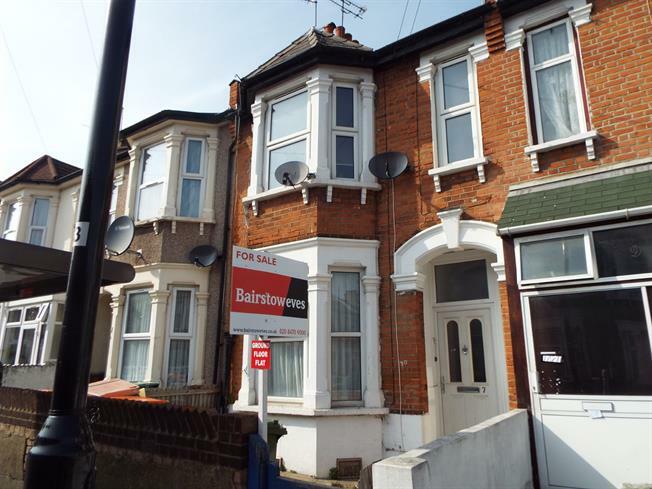 A very nicely presented and well proportioned period conversion occupying the ground floor of an attractive double bayed Victorian era house enviably located within a couple of minutes walk of East Ham station, abundant shopping facilities and a good choice of schools and places of worship. The accommodation comprises of a bright bayed reception, two double bedrooms, fitted kitchen and three piece bathroom/wc. Further enhancements include shared usage of rear garden, a large dry cellar ideal for extra storage space and an unexpired lease of approximately 120 years.